urTalker Lite app (free; normally 6.99; Pro 9.99, normally 24.99) for iPhone and iPad. Affordable communication app designed with the individual and their unique needs in mind. urTalker comes with default categories and images and provides the ability to create any number of additional categories, load any type of image and most importantly record your voice for use with those images and words. The UrTalker Pro version on sale for 9.99 provides symbols in categories and the option to schedule categories to appear at a certain time. Eureka app (free; normally .99) provides a simple to do list. An alternative to do list. Calendar & Reminder Alarm Helper app (free; normally 1.99) for iPhone and iPad provides reminders and task lists. A nagging reminder feature is available (this is my kind of reminder app!). Some people just need a persistent, repeated reminder to be effective. Sounds worth trialing . 123 Kids Fun Paper Puzzle Game app (free; normally .99) for iPhone and iPad is a puzzle game for preschooler with over 60 puzzles. 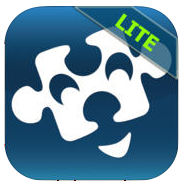 Add a new puzzle app to your collection for free. Word Search for Kids 2 app (free; normally .99) for iPhone and iPad provides large print letter grid for word searching. Ten words to search present for a simpler visual task. Suggested for kindergarten, 1 and 2 grade, however appears content appropriate for adults with exception of the name. iRehab Back Pain app (free: normally 9.99) for iPhone and iPad provides questions and suggestions for treating back pain. Voice Keyboard Pro app for iPhone and iPad ( free; normally 9.99) is a 3rd party keyboard with voice and translation capabilities. Uses Google translate for the voice engine. I can’t wait to test this out! More for your OT mTool Kit. This entry was posted in Accessibility, Apps for OT's, Apps for PT's, Apps for Special Needs, Assistive Technology, Augmentative Communication, Early Childhood, Free apps, iPad, iPhone, iPod, Memory, Third Party Keyboards and tagged Early Childhood, iPad apps, Memory, occupational therapy, Visual Perception. Bookmark the permalink. 1 Response to Apps Gone Free ! Nice article! 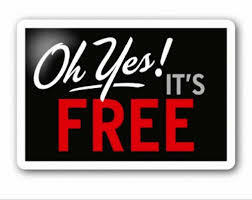 More source for free apps. Will definitely try some of these after I’m done with free ios apps I found in http://thetreeofapps.com/apps/. Thanks for sharing!